Ugh. 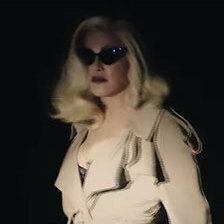 That time Madonna said, "Guns don't kill people, people kill people" in defense of the violence in her MDNA tour was one of the most cringe moments I ever had with her. Lol. I blame it on a left over brain fart from the Guy Ritchie years who no doubt probably spewed that crap. "Those atomic bombs we dropped on Japan didn't kill those countless people. It was the person who hit the button that did it. Derp!". I’m sure Madonna message was deeper than that. Didn’t she release a statement about the use of guns as props for the gig? Madonna’s always been anti guns. well, the truth is that nothing will change in the freedom to buy weapons that the USA has. it didn´t change with the demoracts, it won´t change now.Probably Trump´s government will spend huge amounts of monet surrounding schools with militars or private police now, probably from his inner circle´s friends companies. Yes, Obama was very good taking pictures. Love the fact that American teens are speaking out, demonstrating, arranging walk outs and making their voices heard in protest against the NRA and lack of gun control. People power and protest has to be done full scale to try and force change. Well, as they very cleverly say, their lives depend on it. They may be exposed to those fearmonguers who try scare people about inmigration and robbery and gays breaking families, but they are more prone to die by a mass shooting that being murdered by an inmigrant. Why do people always guilt trip us into talking about these things? NOTHING'S GOING TO CHANGE whether we talk about it or not. I used to use Facebook and social media, even this forum, to talk about politics and awful things happening around the world ALL the time and I'm officially DONE. Nothing changes. Nobody cares anymore. I'm exhausted. We care about the children, obviously, but not the bigger picture. And people who live outside the U.S. ESPECIALLY want to care but then you guys overwhelmingly support "gun rights" so whatever, you guys figure it out and stop dragging the rest of us down. To be fair, I think that is the reason why Facebook is on the whane. We all are tired of this futile debate. In fact, some sociologists explain that we all are lazy bastards whose rights are being taken away because we fume in the net but don't do anything in real life. Yes. Exactly. That's exactly what I said and that's exactly what I did. Once again, like everytime you open your mouth, you're totally on point. Congrats ! Thanks to open our closed mind. Things change all of the time. If you can't see it, you aren't paying attention. I have noticed a change this time from the usual. Young people are speaking out on mass, demanding change and to be heard. I hope they keep it going and going. 17 innocent people died because an evil nutcase was allowed to purchase a high powered gun and massacre them because he could. Surely people's lives are more important than people's "rights" to own high powered guns. Hope Americans keep protesting long and hard with passion and emotion. My school district would most likely take similar action against students as well. However, I encourage them to walk out and demonstrate their right to protest. On a similar note, I as an educator would love to walk side by side with the students, but would face being written up for walking out and other consequences as well. I would suggest to teachers to call out that day to make their voices heard. I know taking that type of action has worked to send a message during our contract negotiations. ^ That is so offensive. 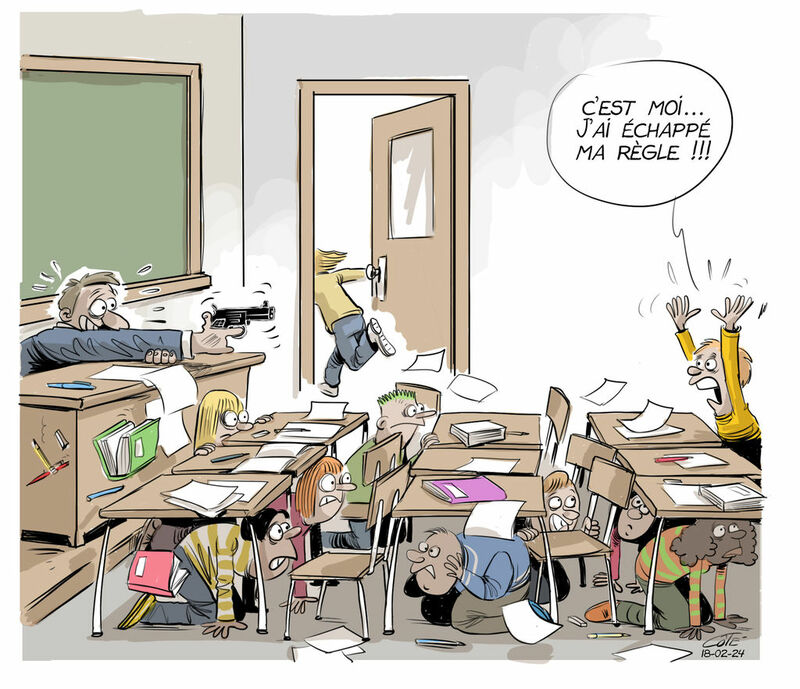 As if teachers don't have enough pressure on them, he is now expecting them to be highly trained assassins. They are there to teach, not to kill and stop sick people who should not have a high powered weapon in the first place. I watched a news report the other day where an Australian reporter interviewed several Americans against Gun Control who straight out said that it was more important for them to have freedom to own any guns of their choice than the lives of children. The reporter also said that he covered the Texas Church murder and was shocked that several witnesses he spoke to were more angry about him mentioning the issue of Gun Control then they were about the victims that were killed. A junior cadet who died helping other students escape a Florida school shooting has been posthumously accepted into a prestigious US military school. 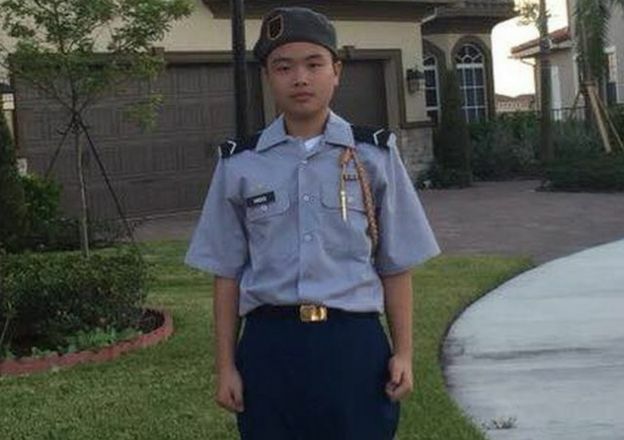 Peter Wang, 15, one of 17 killed in the 14 February attack, was admitted to the class of 2025 at his dream school, West Point Academy. He was a member of the US Army Junior Reserve Officers' Training Corps (JROTC), a school programme for potential US military officers. His funeral took place on Tuesday. The school will confer a letter of admission and honorarium tokens to his family, local West Point alumnus Chad Maxey told the Sun Sentinel newspaper. Florida Governor Rick Scott also reportedly directed the state's National Guard to honour Peter and two other members of the JROTC at their funerals. The US Army bestowed the Medal of Heroism on three students who were killed, including Peter, according to US media. The Cadet Command also approved Junior ROTC Heroism Medals for 14-year-old cadets Alaina Petty and Martin Duque, an army spokesman told US media. Peter was in uniform when he was fatally shot while holding the door for others fleeing a gunman at Marjory Stoneman Douglas High School, witnesses say. The recognition comes after an online petition called for him to be laid to rest with military honours, saying he "deserves" to be buried as a hero, because "his selfless and heroic actions have led to the survival of dozens in the area". Peter, who had spent part of his childhood in his parents' native China, had dreamed of attending the West Point military academy, friends say. 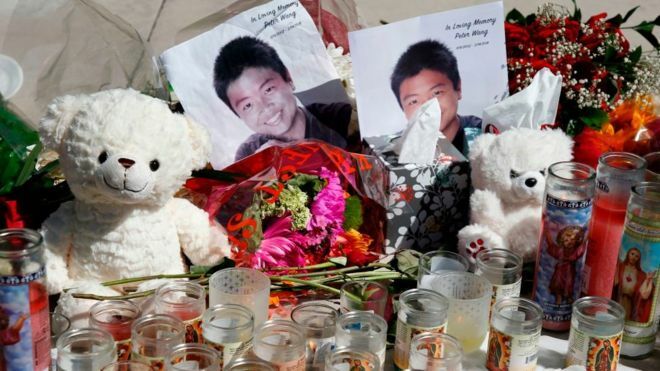 Jesse Pan, a neighbour and longstanding friend of Peter's family, told the BBC Chinese Service he had tried to support the teenager's parents as they struggled to cope with the loss. "I was there with his parents, helping translating and finding a funeral home," he said. "His parents fainted as soon as they saw his body. He had got multiple shots in front… So horrible." Peter Wang was formally recognized for his actions during the shooting in several ways. At the federal level, Wang was awarded the ROTC Medal for Heroism by the U.S. Army. He was also posthumously admitted to the United States Military Academy for the class of 2025, a "very rare" act. In addition, the state of Florida honored Wang by ordering the Florida National Guard to attend his funeral. In regards to their decision to posthumously admit Wang, the U.S. Military Academy stated that, "It was an appropriate way for USMA to honor this brave young man." Deranged evil nutters who want to shoot up schools plan things for maximum carnage. Look at that piece of pond scum in Florida who set off a fire alarm. 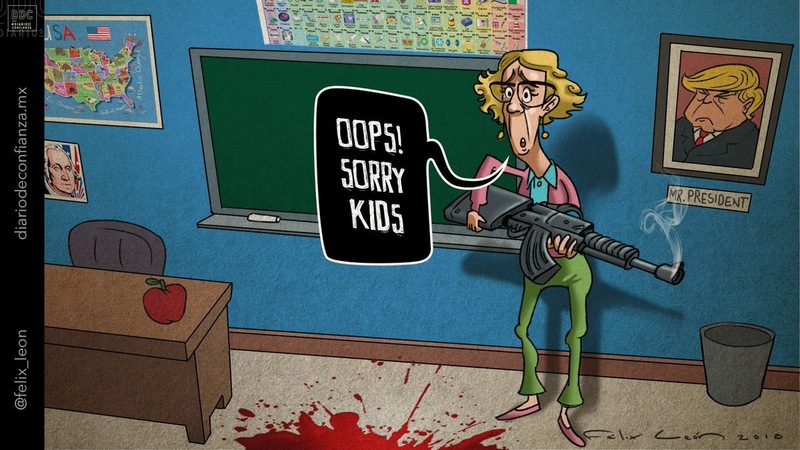 The first thing they would most likely do is shoot the teacher. This plan is offensive to all teachers everywhere in the United States. I'm so appalled in so many levels I can't even comment. Just the fact that the president of a country thinks that having armed teachers is the solution for anything really is worse than many Black Mirror dystopias. More and more American businesses, including car rental companies and airlines, an insurance giant, and a major bank, are severing ties with the National Rifle Association in the face of torrents of criticism from customers on social media. The backlash began on Thursday after the First National Bank of Omaha (FNBO), which has an NRA-branded Visa credit card, said in a statement that it had decided not to renew the contract. Shortly afterward, other companies announced they would end their NRA membership discount programs. The groundswell comes amid calls for tighter gun control after the shooting at a high school in Parkland, Florida, last week that claimed the lives of 17 people. Those calls have been rejected by the NRA, which instead has pointed the finger at school security, the mental health system and the FBI. David Hogg, a survivor of the Parkland massacre, tweeted his gratitude to companies who announced they were ending their partnerships, and, in a series of individual tweets, Hogg asked other companies to follow suit. Some did. Among those cutting ties with the NRA were the car rental groups Enterprise, Hertz, Avis and Budget; the insurance giant MetLife; the software firm Symantec; and the Boston-based home security company SimpliSafe. Delta and United also said in statements Saturday that they will no longer offer travel discounts for the NRA. Each airline asked that related information be removed from the NRA website. caption: "It's just me! I dropped my ruler!!"